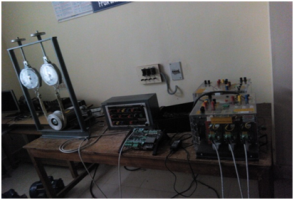 •	Five test benches with advanced control schemes for different electrical motors like BLDC, SRM and Induction motors. 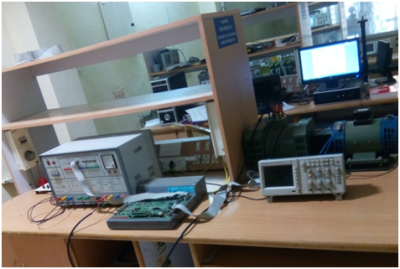 This lab is equipped with National Instruments - LabVIEW 2013 and associated gadgets worth 25 Lakhs. 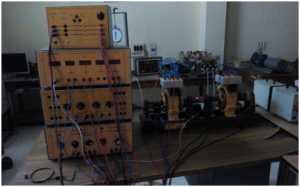 They include NI Compact RIO (2 Nos. 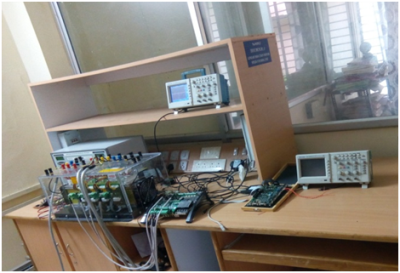 ), 300 V rms Voltage measurement module, 5A rms Current measurement module, 300 V rms Voltage measurement module, 5A rms Current measurement module, 16 channel Temperature measurement module, Analog Input module, Analog Output module, Digital Input module, Digital Output module, Stepper motor control module, BLDC motor control module and Servomotor control module.